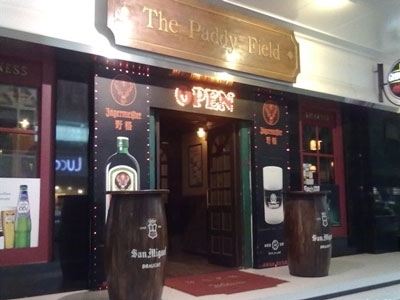 Paddy Field is practically an institution in Guangzhou, a lively Irish bar right in downtown with live music and plenty of sports, standing out for its penchant for rugby. They cook up several kinds of burgers, but will basically let you build your own. Sauces: All homemade sauces. They'll give you anything they've got in the house.